In the hotly contested battle for Alabama Senator, newly released video appears to show Roy Moore’s campaign staff physically confront a camera crew outside a rally. On Twitter, Birmingham News reporter Connor Sheets posted video of a man wearing a sticker pushing away a cameraman as he tried to film the candidate’s arrival. On the edge of the frame, a second man appears to become hostile with another cameraman. Mediaite reports the cameraman confronted was representing Fox News. Sheets later identified the man seen pushing that cameraman away as Tony Goolesby, the DeKalb County coordinator for Moore’s campaign who organized the night’s rally. 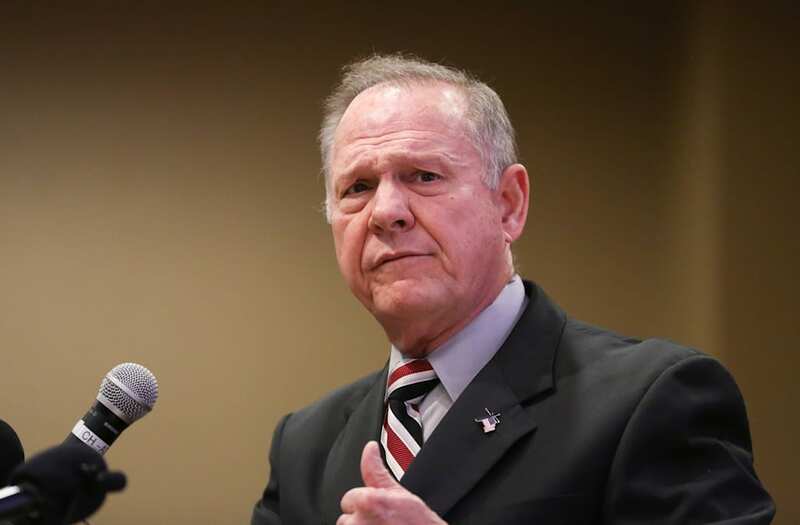 The heated moment comes as Judge Moore has faced accusations from a number of women accusing him of sexual misconduct from when they were in their teens. Trump also slammed Democrat opponent Doug Jones, calling him a disaster for the senate.